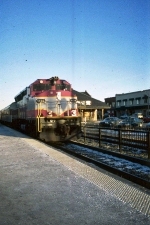 Description: Outbound commuter arriving at Framingham. Description: Inbound commuter departing Framingham. 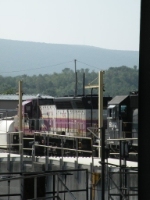 Description: An outbound rush hour train is about to pass under the Cooper Street bridge in Wakefield. Description: 257 moves through Melrose Highalnds, and doesn't stop because it's a flag stop. Description: 1139 comes through Braintree approching Commercial St. with 2073. 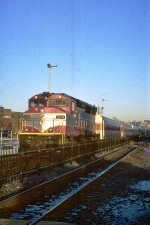 Description: MBTA 1139 at the Bleachery Yard in Lowell on the RIP track awaiting repairs before heading west for top deck overhaul. Description: Pulling into Ayer in the rain.